Vacation closest to all the attractions! VillaDirect vacation rentals in Orlando are perfect for families searching for a step up from typical hotel accommodations. Our homes always offer guests multiple ways to save, including our special offers and also their value when compared opposite with hotels. All VillaDirect vacation rentals in Orlando include a complete in-home kitchen for dining together after the theme parks. Tastefully furnished living areas with plush sofas and big-screen HDTV’s make the perfect place to spend with the family. Maybe sit and relax as you “veg out” or enjoy your favorite book. In addition, everyone in the family can also enjoy their own inviting and comfortable bedroom. Each bedroom also offers a peaceful, private space to recharge and relax and almost all have their own TV. 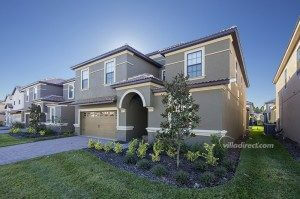 VillaDirect’s selection of vacation rentals in Orlando probably offers something for every budget and need. From family reunions and birthdays to relaxing family getaways… VillaDirect’s Orlando-area rental homes provide the space, privacy and affordability families search for when planning their vacations. Finally find the perfect vacation rental for your family. Use our home finder, where you can can choose the number of bedrooms you need, the dates of your stay and even special amenities like private pools, home theaters and game rooms.